What is the first thing that comes to your mind when I say the word SEASON? If you are a ten-year-old then you’ll probably say ‘SUMMER SEASON’, but if you are a cricket fan then your answer might be ‘IPL SEASON’. What I’m trying to say is that when we say or hear a new word, it’s crucial to understand a particular context in which the word is being used. WHERE DID ‘SEASON’ CAME FROM? This word has its roots in the latin word ‘satio’ meaning: the act of sowing seeds. We can assume that this word is related to the time when people used to sow seeds. OKAY, done with the basics; let’s explore some more! • Spring is my favourite season. • How long does the rainy season last? 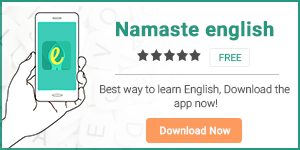 • बरसात का मौसम कब तक रहता है? • This is not the season for business. • This year’s IPL season began with great fervour. • Her party is one of the most exciting events of the season. 5. One of the several series of television programmes with the same title and the same characters. • Big Boss 10 season was hosted by Salman Khan. When you add salt, pepper, or other herbs to a dish in order to enhance its taste, it means you have seasoned the dish. • I seasoned this chicken with a lot of herbs and spices. Here, it means that you have experienced something so often that now that thing seems normal and usual to you. • Indian troops are seasoned by battle.